Members of the Beyhive have been waiting for Beyoncé’s twins since the pop goddess announced her pregnancy in February with a lavish photoshoot. Images of Beyoncé bare bellied, surrounded by floral arrangements went viral earlier this year, and since then baby watch has been in full force. While news of the twin’s birth started circling over the weekend, TMZ reported on Tuesday that their debut happened earlier than expected. Regardless of whether TMZ’s report is really true, it’s not that surprising that Bey, pregnant with twins, would give birth to preemies. Studies have shown that it’s not unusual for twins or multiples to come out earlier than the average 40 weeks. According to a report published by the UK’s National Institute for Health and Care Excellence, 50 percent of twins and almost all triplets are born before 37 weeks. Doctors aren’t entirely sure why this happens, but they have a few theories. A review published in the American Journal of Obstetrics and Gynecology in 2010 reported that 10 percent of these preterm births happen because the sac holding the babies accidentally rips — perhaps due to their extra-heavy contents — causing the mom’s water to break, but they also found that a third of these premature births are spontaneous. In 2012, researchers from the University of Adelaide reported in the Journal of Obstetrics and Gynecology that it’s actually safer for twins to be born early — at 37 weeks, to be exact. That’s because monochorionic twins (those that share the same placenta) are prone to having complications, in particular, issues where the growth of one twin slows the other down. Because of this, “elective birth” — when moms choose to go into labor early — is the safest option. These ideas were echoed in a BMJ study published in 2016 in which researchers concluded that electing to give birth to monochorionic twins at 36 weeks and to dichorionic twins (those that each have their own placenta) at 37 weeks significantly reduced the rate of stillbirths and newborn deaths. 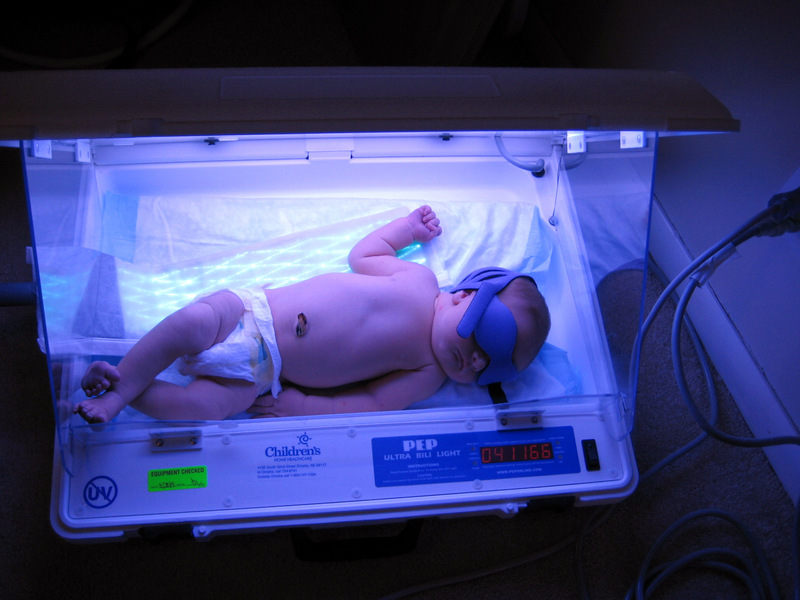 Premature babies go through light therapy to help treat their jaundice. Did Bey go through an elective birth? It’s impossible to say — or even to guess at how long she carried her twins, seeing as we don’t know when she first became pregnant (it was unclear how far along she was when she made the announcement). Fortunately, premature births are only dangerous for infants that don’t receive the right support. The University of Rochester’s Medical Center reports that common short-term problems include trouble breathing, anemia, and jaundice, which is the yellowing of the skin and eyes caused by excess blood bilirubin, which premature livers have difficulty breaking down. Usually, however, these issues are not difficult for doctors to deal with. While the Beyhive has its fingers crossed for the safe delivery of the babies, they can rest assured that the twins will receive the utmost level of care: Bey has reportedly requested a luxury hospital delivery, replete with the most up-to-date medical technology, catered meals, and a play area for soon-to-be big sister Blue Ivy.